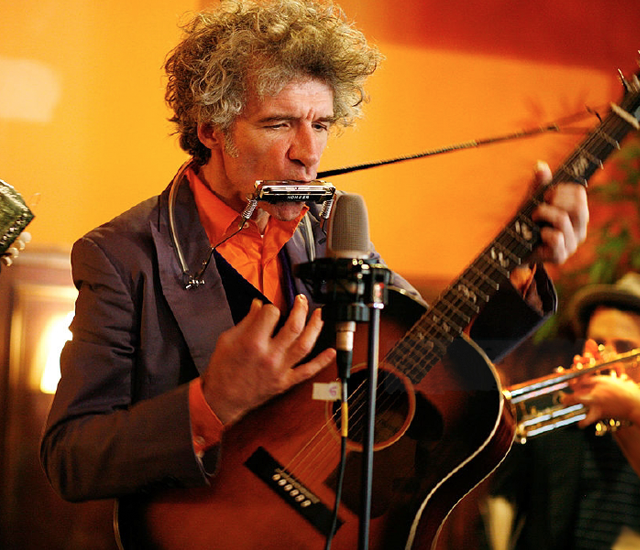 Sonic Junction is delighted to welcome Roots Music Legend Dan Zanes to our teaching team. Dan Zanes occupies a unique place in American music where sea shanties, English music hall, North American and West Indian folk music, play party songs, the spirit of early rock-and-roll and soulful originals collide. With his band, Dan Zanes and Friends, he has toured the world sharing handmade 21st century social music with enthusiastic crowds of kids and kid sympathizers. From thrift shop basements to Carnegie hall, from Brooklyn to Bahrain and beyond, the Grammy award winner has been introducing new songs and reconnecting people to songs that have always been there, and still are—although people may have forgotten about them. Referred to as “the family-music genre’s most outspoken and eloquent advocate” by Time Magazine, his widely- acclaimed music has been featured on Sesame Street, Playhouse Disney, Nickelodeon, HBO Family and Sprout..
Dan is currently finishing up a CD which celebrates the children’s music of his main inspiration, Lead Belly. Ha-Ha This Away, as it’s now titled, will be released on the Smithsonian/Folkways label in spring 2017. Other upcoming projects include a new recording of Zanes most child friendly songs created specifically for the early childhood classroom and in December he will join the ranks of some of America’s premier musicians as a guitar and ukulele teacher with Sonic Junction, the leader in online instructional roots videos. Zanes was born in Exeter, New Hampshire in 1961. He was a member of the Del Fuegos from the beginning to the end of the eighties and with them made The Longest Day (1984), Boston, Mass (1985), Stand Up (1987), Smoking in the Fields (1989), and the hit single, “Don’t Run Wild.” In 1994, he released a solo CD, Cool Down Time, shortly after which he moved to Brooklyn, New York with his family, where he then released Rocket Ship Beach (2000). It became an immediate hit with families around America as well as with The New York Times Magazine, which said, “Zanes’ kids music works because it is not kids music; it’s just music—music that’s unsanitized, unpasteurized, that’s organic even”. The Del Fuegos, "I Still Want You"